Robert W. Sears, MD, is a father of three, board-certified in pediatrics, and a co-author in the Sears Parenting Library. “Dr. Bob,” as he likes to be called by his little patients, earned his medical degree at Georgetown University School of Medicine in 1995. He did his pediatric internship and residency at Children’s Hospital-Los Angeles, finishing in 1998. Dr. Bob is the proud father of three active boys, Andrew, age 22, Alex, age 19, and Joshua, age 13. He and his wife, Cheryl, reside in Dana Point, CA. In his spare time, Dr. Bob enjoys the California waves, mountain biking, coaching his kids’ football teams, and trying to keep up with his three children. Dr. Bob writes a new daily blog, Dr. Bob’s Daily, on his Dr. Bob Sears Facebook page and soon to be on www.DrBobsDaily.com website. Dr. Bob enjoys a very unique approach to pediatrics by providing a combination of alternative and traditional medical care. 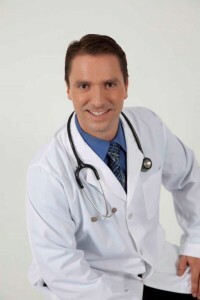 He has a passion for healthy natural living and incorporates this knowledge into a style of disease treatment and prevention that you won’t find in most doctors’ offices. By limiting antibiotic use, using science-based natural treatment approaches whenever possible, and focusing on good nutrition and immune system health, Dr. Bob takes preventative medicine to a whole new level. His commitment to breastfeeding success for all his patients also helps babies get a right start in life. Dr. Bob has a particular passion for helping parents understand childhood vaccines and the options open to them in choosing the safest possible vaccine schedule for their child. 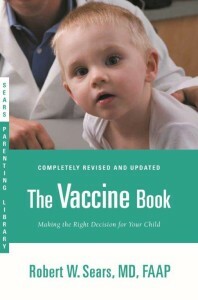 As the solo author of The Vaccine Book: Making the Right Decision for Your Child, his in-depth knowledge of vaccines and the diseases they prevent has helped parents nationwide get a better understanding of this complex and confusing issue. He is also the author of The Autism Book: What Every Parent Needs to Know About Early Detection, Treatment, Recovery, and Prevention. Dr. Bob provides integrative medical treatment approaches to helping children with autism improve their developmental skills and behavior. Having had the privilege to help raise three active boys, Dr. Bob has grown fond of the “parenting” side of pediatrics. He especially enjoys talking to parents in his practice about the joys, and trials, of watching their little babies and toddlers thrive through the first several years of life. Dr. Bob is committed to enjoying a slow-paced, casual atmosphere in the office, providing long checkups, giving parents the flexibility to ask for house calls at home when needed and being one of the very few Orange County pediatricians to be available after hours, overnight, and on weekends for phone calls and home visits. Because he is not contracted with any insurance companies he is able to focus his attention 100 percent on just being a doctor without having to worry about the business side of running an insurance-based office. His patients take care of billing their own insurance themselves and find that once they learn the process it is very easy. Dr. Bob is a medical advisor for several organizations, including La Leche League International, Talk About Curing Autism, and Kaplan University Department of Health Sciences.